Red Velvet Brownie Hearts with Cream Cheese Frosting! Yes! 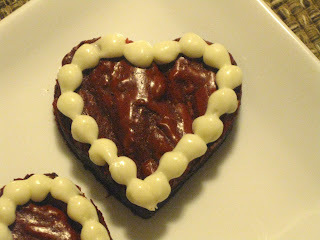 I know it's meatless Monday but it's also Valentine's Day tomorrow and I thought this would be a better post. I remembered a few days ago that I had this recipe and thought it would be a nice idea to share it with you. Of course it only makes enough so that it can be baked in a loaf pan because it is about romantic red velvet brownies and not gorging ourselves on a 9"x13" pan of yummyness. 2. In a bowl blend together butter, sugars, and vanilla until mixed well. 3. Add red food coloring and egg to bowl, blend well. 4. Sift the flour, cocoa powder, and salt. Add to mixture. Blend well. Stir in chocolate chips. 5. 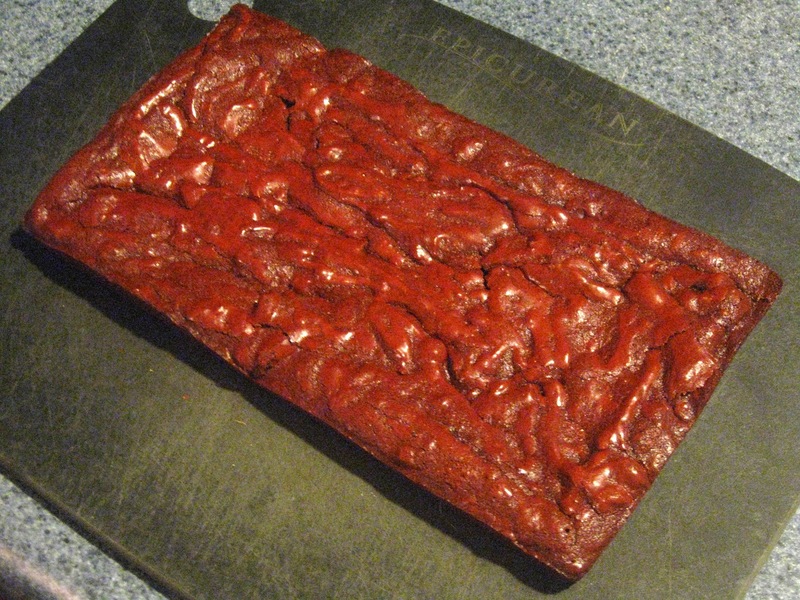 Grease an 8 ½” x 4 ½” loaf pan. Pour batter into pan. 6. Bake about 26 minutes or until a knife inserted slightly off center comes out clean. 7. Cool on rack at least 15 minutes. 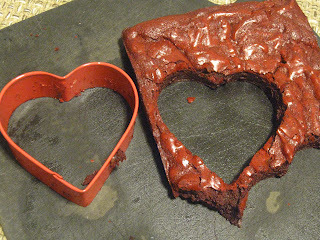 Remove from pan and cut into desired shapes. 8. 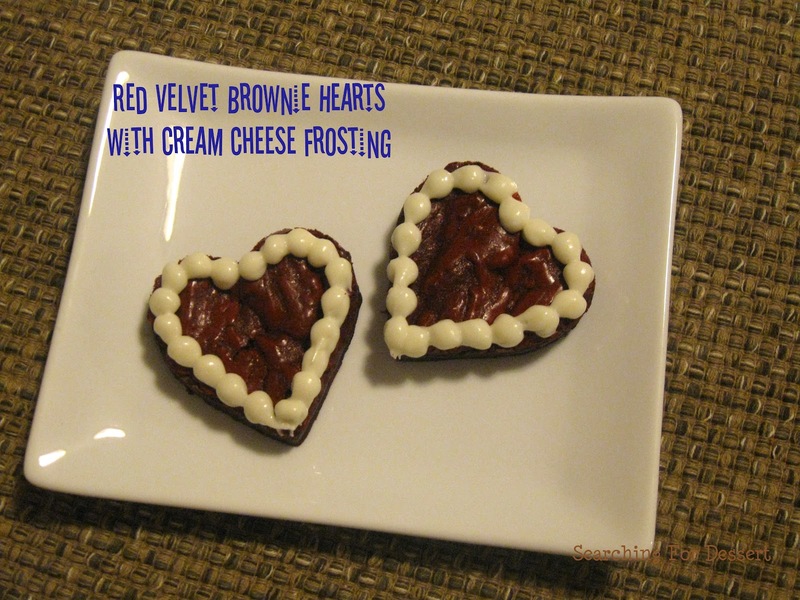 Frosting: Mix together cream cheese and butter in a mixer until well blended and almost no clumps remain. Add in vanilla. Add in powdered sugar ¼ cup at a time. Mix at medium to high speed once all the sugar is blended in until the mixture is thick and smooth. More powdered sugar may be needed.